Jona's first major concert as a Kapamilya, a success! Jonalyn Viray, now known as JONA, proved she's a queen as she nailed her first major concert as an ABS-CBN artist, called Queen Of The Night: Jona. Held on Friday evening (November 25) at the Kia Theatre in Cubao, Quezon City, the first Pinoy Pop Superstar (PPS) grand winner serenaded thousands of old and new fans with her performances of classics to contemporary songs. "Nagmahal. Nasaktan. Bumirit na lang," says a "hugot" line delivered during the night. 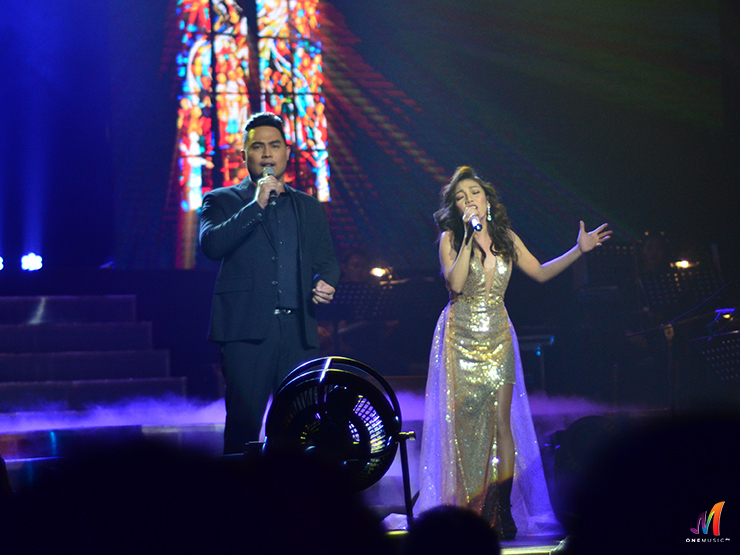 Mayora, as how her fans call her, was joined on stage by Daryl Ong, whom she revealed her long time friend since PPS days, and Jed Madela, through a worldclass performances of "The Prayer." As Jona mentioned in her previous interviews, it was her first time to sing with the two male artists on a concert stage. One of the most-awaited parts of the concert was her performance with Asia's Songbird and whom Jona considers one true queen, Regine Velasquez-Alcasid. The two rendered their own duet version of "I Believe I Can Fly." "You are a queen, period," Regine told Jona, adding that she should conquer a bigger venue next time. "May mas malaking venue pa dun oh," Regine said while pointing to the direction where Araneta Coliseum is. "Next year dun na!" No words could express how grateful Jona was, as seen until her closing song. "We are born to be kings and queens everyday," Jona concluded. Were you there at the concert? Tell us which is/are your favorite part/s on the comments section below. The Coca-Cola Christmas Concert is Coming to Town!